Sorry it’s been so long since I have updated, I didn’t mean to neglect my blog or you guys. I’ve still been reading all of your blogs, but just haven’t had it in me to update lately. They’ve been monitoring my HCG levels closely over the last few weeks after my first dose of Methotrexate for my ectopic pregnancy on September 15th (I’ve literally had 2-3 blood draw’s per week for the past 9 weeks). My levels have been dropping slowly, but dropping steadily so there wasn’t a problem until now. Well, it seems I’ve hit a plateau. 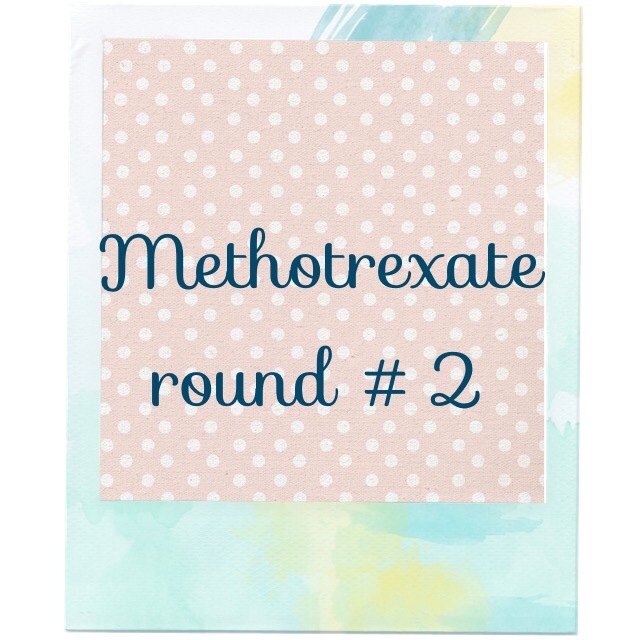 Monday’s HCG level was 255 and today’s level was 224…..so my RE thinks it’s time to go ahead with another round of Methotrexate. I had another check-up today, they took more blood (my poor arms) and did another ultrasound. 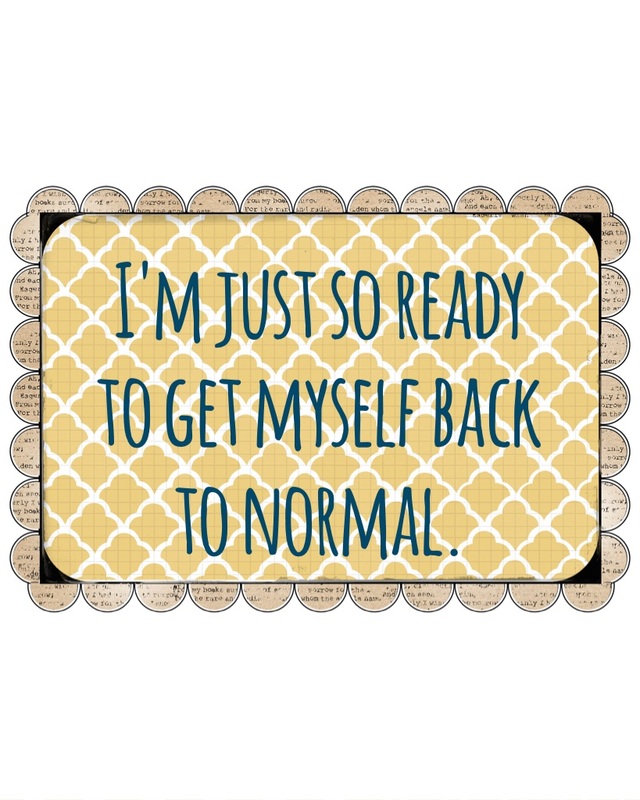 My HCG is finally dropping like it should (it was 513 today), so it looks like I will be able to avoid another methotraxate shot or any type of surgery…..excellent news. Also, my ultrasound was perfect, but when my RE told me we were just about through this and we were going to take a month off then finally get me pregnant again I burst into tears. 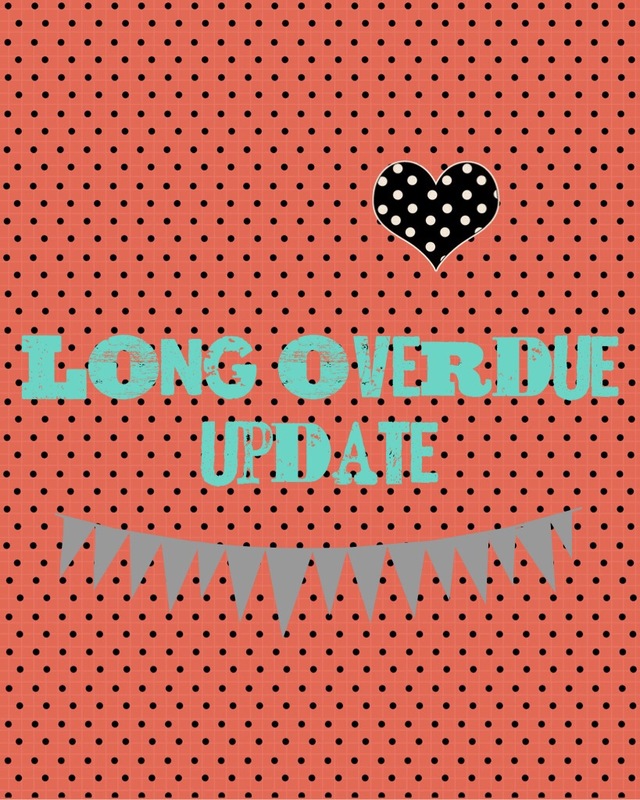 I didn’t have the heart to mention anything to him today about us quitting, and there’s really no point at this time anyway because I hope and pray that my husband changes his mind. I just said thank you and left his office crying all the way to my car. It literally makes my heart hurt at the thought of not trying again…..I just feel like we are SO CLOSE!!!!!!!!! I have to go back in for more blood work on Thursday. I’ve lost count of the number of cards and gifts I’ve received after learning about my ectopic pregnancy, but I’m just so appreciative….thank you so much, they all have meant so much to me! The overwhelming love and support has been so incredible, and I couldn’t be more thankful to have such a supportive network of friends and family. 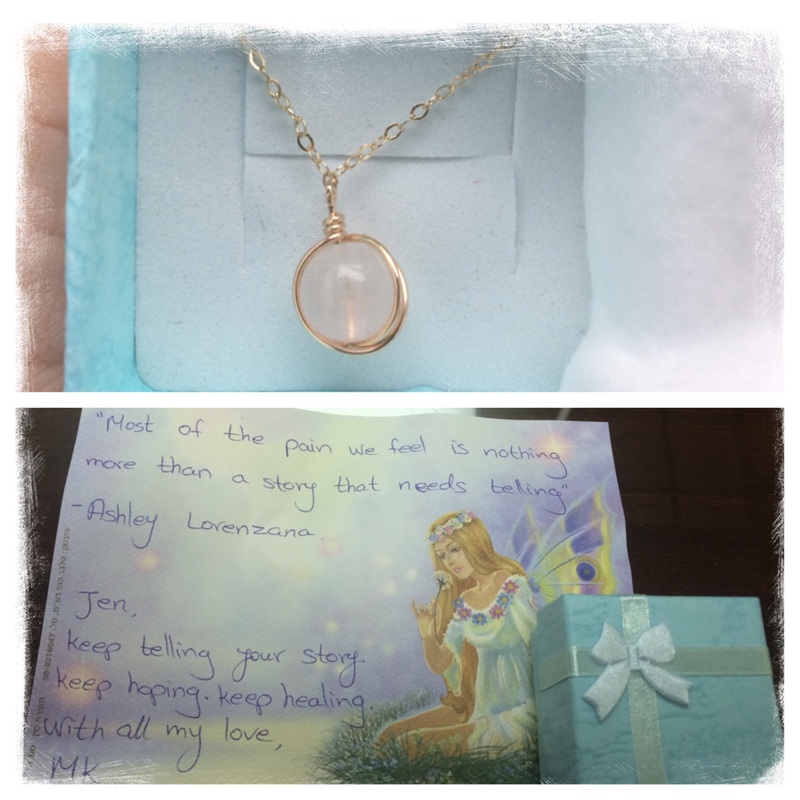 My college roommate and good friend MK sent me this beautiful rose quartz necklace from Israel. Emotionally, rose quartz is used to balance emotions and bring peace and calm. This calm emotional balance brings stress relief and easing of anxiety. All these things carry energies of forgiveness, tolerance, and compassion to the force, enabling us to see the good in both ourselves and others. I look forward to wearing it, because of it’s meaning, because of how beautiful it is, and because of the person who gave it to me. We’re not that close (distance wise) anymore, but she still remains one of my very best friends…and is always there for me when I need her. Thank you MK! I love you. 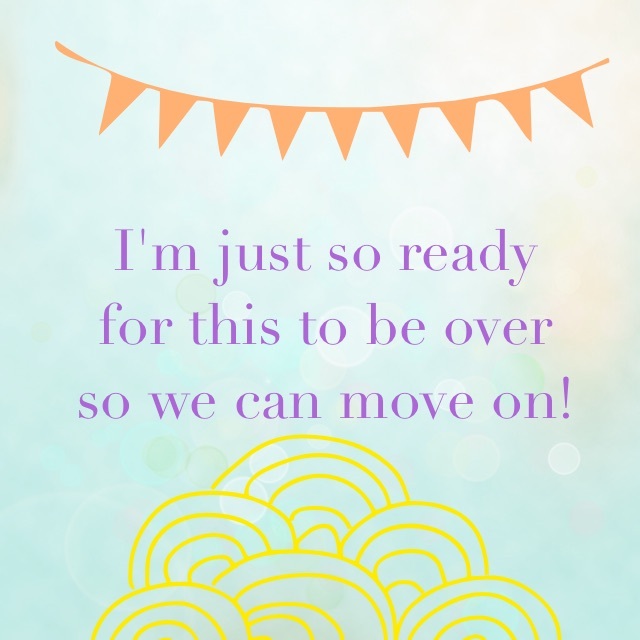 After months and months of shelling out thousands of dollars, spending countless hours with our RE, undergoing numerous treatments, losing two babies — only to be right back where we started — how do you know when it’s time to give up? 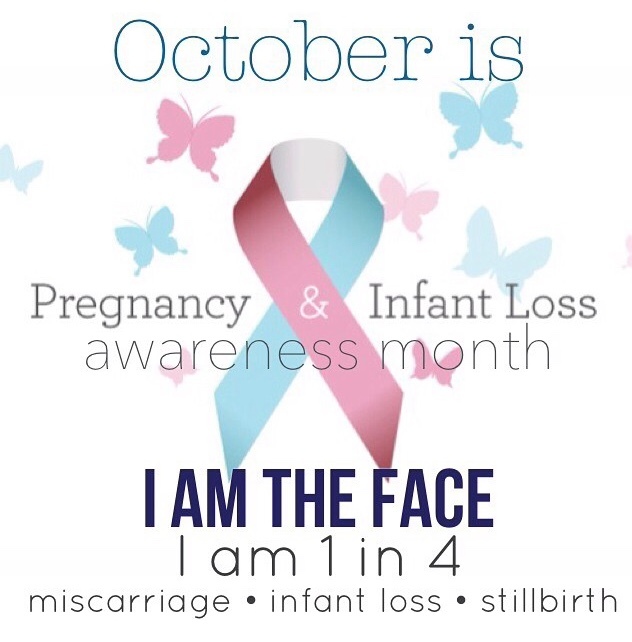 If you’ve never lost a child, experienced a miscarriage or a still birth you might not know that October is National Pregnancy & Infant Loss Awareness Month. More specifically, October 15th is a universal day of remembrance for pregnancy loss and infant death. This day is observed with remembrance ceremonies and candle-lighting vigils….I know I never knew something like this existed until it applied to me. This morning I had another follow up appointment with my RE. 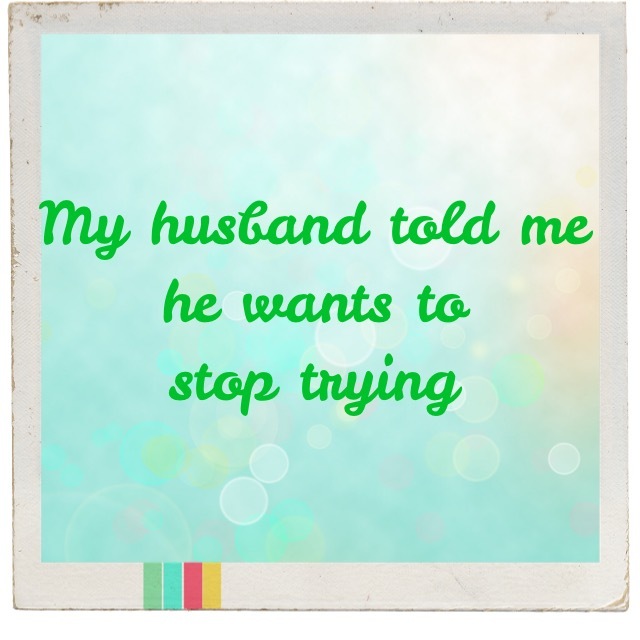 I had another ultrasound and he said everything was looking good….no cysts and no fluid, both good signs. I also had more blood work done including a CBC (complete blood count), another HCG beta draw, a comprehensive metabolic panel, and AST (SGOT)….not sure what that one is for. After the ultrasound & blood work I went into my RE’s office and we chatted about what comes next.